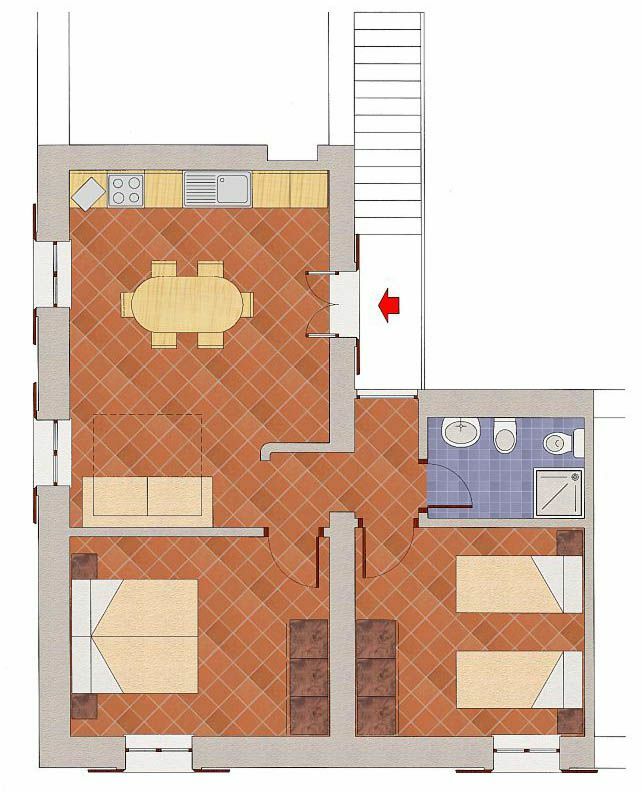 Three-roomed apartment for 6 people, on the first floor: living room with kitchen area and double sofà bed, bedroom with 2 single beds, double bedroom , bathroom with shower. 60 square metres. It's possible to add a single bed.